Let’s get right into the down and dirty of bicycle touring. What about laundry? If you are on a route with plenty of hotels and/or laundromats, the answer is pretty obvious. But what about those journeys far enough off the beaten track where laundry facilities are not an option? This is where my love of Ortlieb’s Classic Back-Roller panniers goes way beyond packing my gear. Simply empty one of your waterproof panniers, fill it with dirty clothes, some biodegradable soap, water (preferably warm), close, and shake. 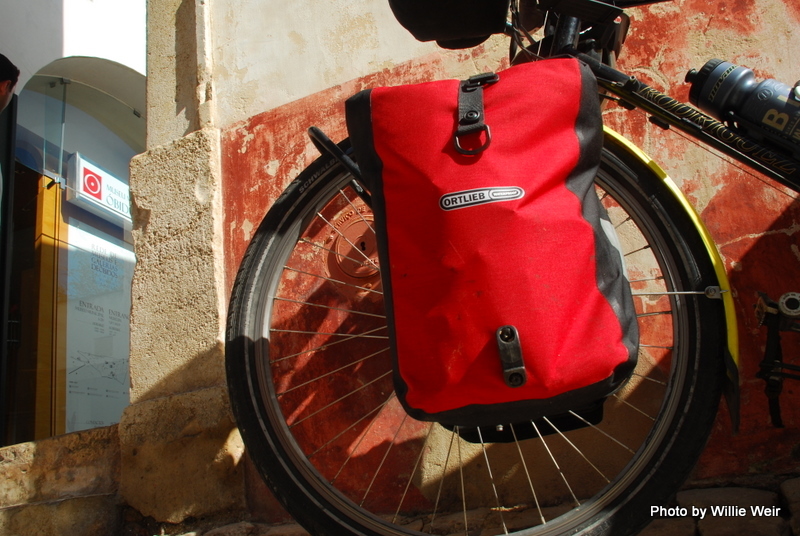 This is the bicycle touring version of the wash cycle. Now drain the pannier. Fill it with fresh water. Shake. Empty. Repeat. You’ve just completed the rinse cycle. (Note: In the back country, please don’t dump your waste water back into your pristine water source.) Hang your clothes in the sun on the nylon line you packed with you. 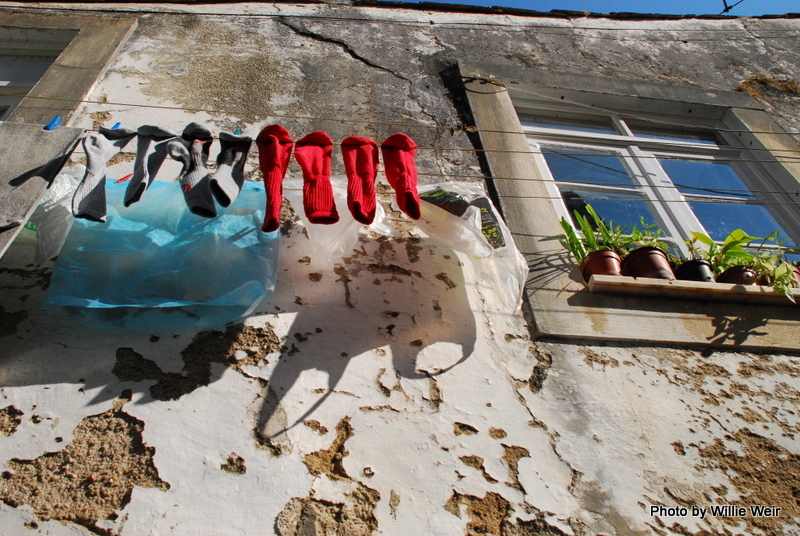 Eat some lunch or take a nap during the solar drying period and … “voila”, your clothes are laundered. The inside of the top roller bags are easily wiped dry. This laundry routine can be used out in the woods, or in the city when you have one of those hotel rooms with a sink the size of a cereal bowl. The metropolitan drying method requires some tweaks. With this handy tip, even though you might be 100 miles from the nearest laundromat, you can always pedal on down the road with a shirt that doesn’t stand on its own, and cycling shorts that don’t smell like a stagnant pond.